Just to the west of Waterfront Park in Old Town Alexandria, you’ll find Virtue Feed & Grain. This rustic-looking New American bar and grill comes from Alexandria Restaurant Partners, the team behind The Majestic, Hi-Tide, and other local favorites. Virtue Feed & Grain got its great reputation from its steak tips, duck fat fries, and cocktails at the upstairs bar. However, word is getting around that Virtue is also one of the best places in the neighborhood for brunch. The rustic decor provides an attractive backdrop for a gathering of friends, and when the weather warms up this spring, the outdoor patio will be lovely. 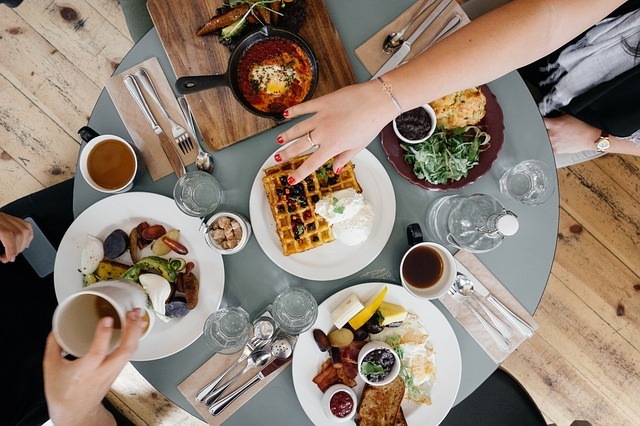 Yelpers recommend starting with the basket of banana bran muffins, then moving on to the fried chicken and waffles or Chesapeake eggs benedict. There’s also a kids menu if you’re bringing little ones along. If boozy brunches are your thing, keep in mind that the Bloody Marys are a specialty of the house.